The anti-ballistic missile system, which the US wants to use to protect itself and Europe from a possible strike from Iran, is not up for the job, a joint US-Russian threat assessment says. The report, published on Tuesday by the non-partisan independent think-tank EastWest Institute, is the result of one year of work by both American and Russian scientists and missile experts. It provides an estimate of Iranian present and future capabilities to produce a nuclear warhead and a delivery device to attack Europe or the continental US as well as the proposed anti-missile system’s ability to counter such an attack. The repot includes contributions from leading experts, such as close advisors to high-level government officials. 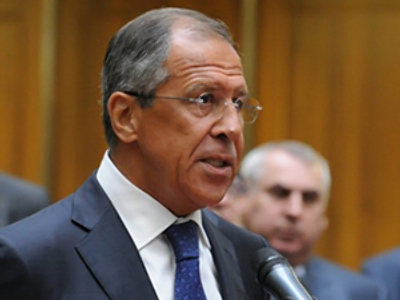 Key conclusions have been presented to the U.S. National Security Advisor James Jones, Russian Foreign Affairs Minister Sergey Lavrov, and Secretary of the Russian Security Council, Nikolay Patrushev. Iran has reached considerable success in developing its nuclear industry, the document says. At the moment it has produced some 1,010 kg of low enriched uranium (LEU), which is to serve as fuel for nuclear power plants. With further development of centrifuge technology it may be capable of producing highly enriched weapons-grade materials. A report by the International Atomic Energy Agency (IAEA), based upon documents provided by some member states, suggested there was collateral evidence that Teheran was seeking to weaponize its nuclear program, but Iran denied the allegations. The documents were never made public for independent evaluation. The Iranian government, for its part, did not convince the IAEA otherwise. So far, there is no conclusive evidence either for or against the claim. “Expulsion of the IAEA would be a matter of grave concern to the international community because it would be an indication that Iran had decided to go ahead with the development of nuclear weapons. The international community together, or individual countries acting on their own, might take forceful action against Iran before it could carry out such plans,” says the report. From a technical point of view, Iran could try and break out to become a nuclear state. However, to do so it would either “have to remove IAEA control and monitoring of the uranium enrichment process,” or accumulate the fissile material in secret. Presently there is no evidence that Iran is doing it, IAEA inspectors report. If a decision was taken by Teheran to produce a simple nuclear device, it would take two to three years under the most favorable circumstances to complete. Five more years and additional nuclear tests would be needed to move from the first explosion to a nuclear warhead “with a yield of several tens of kilotons capable of being fitted onto existing and future Iranian ballistic missiles.” The warhead would weigh more than 1,000 kg. The scenario suggests that weaponization both goes smoothly from a technical point of view and is not hindered by the international community or individual countries alarmed by the expulsion of the IAEA monitors. Another point in consideration is that Iran would likely want to produce several nuclear devices if it ever makes its first one. 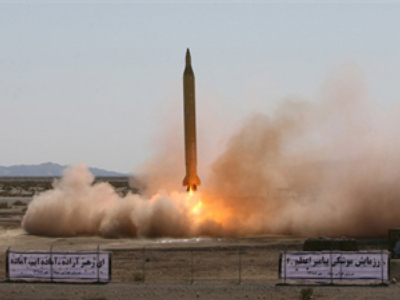 The Iranian missile arsenal is largely based on the Soviet SCUD technology (tactical ballistic missiles R-11, R17 and other modifications), and borrowed from missile programs of several countries including North Korea and Pakistan. The missile with the longest range is the Shahab3M (also called Ghadr-1 Kavoshgar), a modification of the Shahab-3 missile capable of delivering a 1,000 kg load up to a distance of 1,100 km. In six to eight years the range could be theoretically increased to 2,000 km to be able to strike at southern Europe or southern Russia. The two-stage Safir rocket used for Iran’s space satellite launch in February had a payload of only 27 kg and is not capable of carrying a nuclear warhead. Neither was it a technological breakthrough in rocketry, since its first stage is a Shahab-3 rocket. However the report points out that the move marks a step forward for Iran, as it showed its ability to build multiple-stage missiles. The rocket used in Shahab-3 is the same as the Pakistani Ghauri 1 and North Korean Nodong. Iranian engineers took advantage of its high thrust to expand the range of the Shahab-3 with a larger body carrying more propellant and oxidizer, but the strategy is about to reach its limit. “Further advances in Iran’s ability to produce rockets of greater range and payload will require new and major technological advances beyond those it has so far demonstrated,” the report says. The effort will take perhaps ten years of visible action on Iran’s part and will result in a clumsy ground-based missile that takes days of preparation and hours of fueling before it is ready for launch. It will neither have mobility to hide from spy satellites, nor capability for silo launch to protect it from a pre-emptive strike. One big way for Iran to speed things up is through the import of rocket technologies from other countries, probably North Korea, the report says. This will have a limited effect only, since the process of adapting new technologies is a complex one, but it still may pose a danger. An effective international action to prevent transfer of these technologies would deter Iran from building an intermediate-range ballistic missile (IRBM) for a long time. The report goes on to analyze how well the proposed anti-missile system meets its goal of stopping a missile attack. The report says the system has serious technical flaws any possible attacker with IRBMs at their disposal is bound to exploit. For example, the system relies on two kinds of radar. 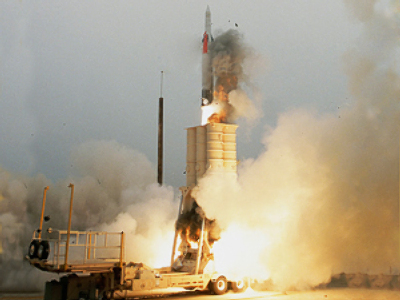 Low-frequency (UHF) early warning radar detects launches and tracks missiles, while short-range X-band radar, called European midcourse radar (EMR), is used to guide interceptor missiles close enough for their infrared sensors to lock on a target. Without either element, the whole system collapses. Even if the system works fine, its capabilities are quite limited. The EMR can’t distinguish real warheads from decoys. Its range – and thus the time for interceptors to act – is small and can be decreased further by fitting the warhead with a medal cap dispersing radio waves and pointing it towards the radar during its sub-orbital leg of travel. The countermeasures are relatively inexpensive and easy to use, while they lower the efficiency of the anti-ballistic missile system dramatically. The interceptors are also far from being guaranteed from hitting their intended target. The US Defense Agency acknowledges this fact and plans to launch five missile killers at each detected missile as a proof against failure. However with just 10 interceptors deployed in Poland, a simultaneous attack with more than two ballistic missiles will overwhelm the ABM system, and if Iran does plan to attack Europe – a move the report calls “suicidal” – and will develop the means to do so, it will certainly use more missiles, since it would not cost much more than building just one and will ensure success. “If Iran believed that U.S. missile defenses were effective and was reckless enough to want to attack Europe or the United States, it could simply build more missiles to overwhelm those defenses. If Iran were to attack Europe with more than one or two missiles, the European missile defense system as proposed could not defend Europe,” says the report. The logical answer to this is increasing the number of interceptors and boosting the power of the radar in Czech Republic, but that’s exactly what Russia sees as a threat to its national security. 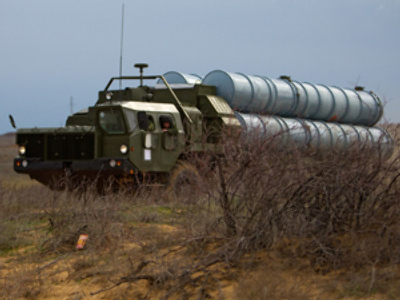 Russia argues that the EMR is ideal for tracking missiles launched from Russia and targeting the US, while the number of interceptors can be rapidly boosted from the ten proposed in case of a conflict. The system, Moscow argues, is aimed in the first place at undermining Russia’s strategic capabilities. The expert group concludes that in terms of protecting Europe from a possible Iranian attack, the proposed ABM system has little to offer. The threat it is meant to counter is far from being imminent and, if it were, the system is far from being effective at preventing it. “It does not make sense, therefore, to proceed with deployment of the European missile defense system in Poland and the Czech Republic,” they say. Moreover, the antimissiles are a major irritant in the relations between Washington and Moscow and have contributed in building mistrust between the two countries to the worst level since the Cold War. Ironically, co-operation on non-proliferation of nuclear and missile technologies and joint efforts in solving the controversy over the Iranian nuclear program would effectively halt the possible threat or even stop it from appearing in the first place. This is even more true when it comes to regional stability in the Middle East, where Iran seeks a greater role. If Teheran did acquire nuclear capabilities, co-operation and trust between Russia, the US and other countries would be needed to defuse the situation. Will U.S. ignore the expert’s report again? What will new US anti-missile plan look like?